Here is just one example of how a slate directional house sign can be designed by us. 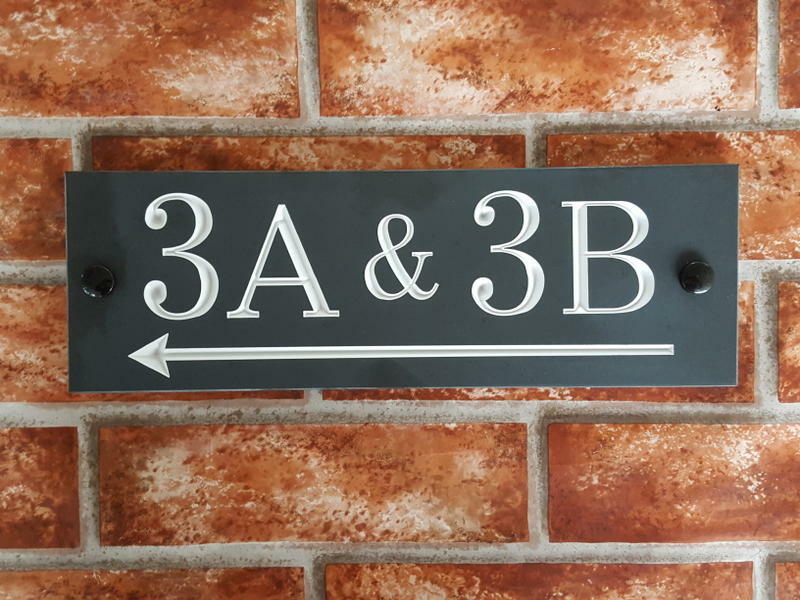 On this sign the customer wanted to indicate to visitors that they should walk left to get to the properties with house numbers 3A and 3B. We make lots of house signs with directional arrows. The poiters can be long (as in the example above) or short. pointing up or dow and even diagonally. We also can make signs with right angled arrows. If you need a difficult to describe direction sign give us a call to and we should be able to advise on the best solution.